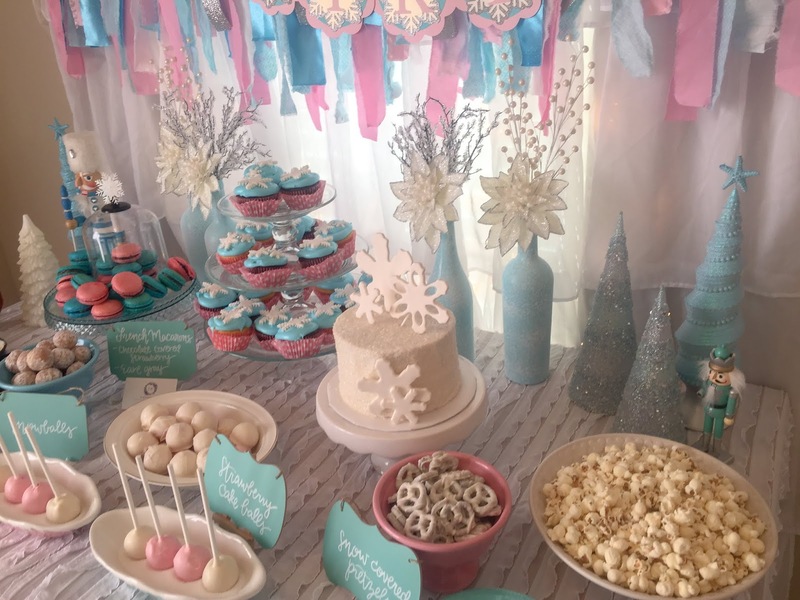 Before Audrey was born – actually before she was even created – I always said that if I had a little girl in the winter time that she would have a “Winter ONEderland” first birthday party. I loved the colors, the shiny trees, the snowflakes, the lights, the glitter! Our sweet little ONE year old birthday girl! Now for the best part – the details! At the front door was a couple of big lollipops from Hobby Lobby and this sign that I made. Just inside were the favors and a place for guests to write a little note for Audrey. 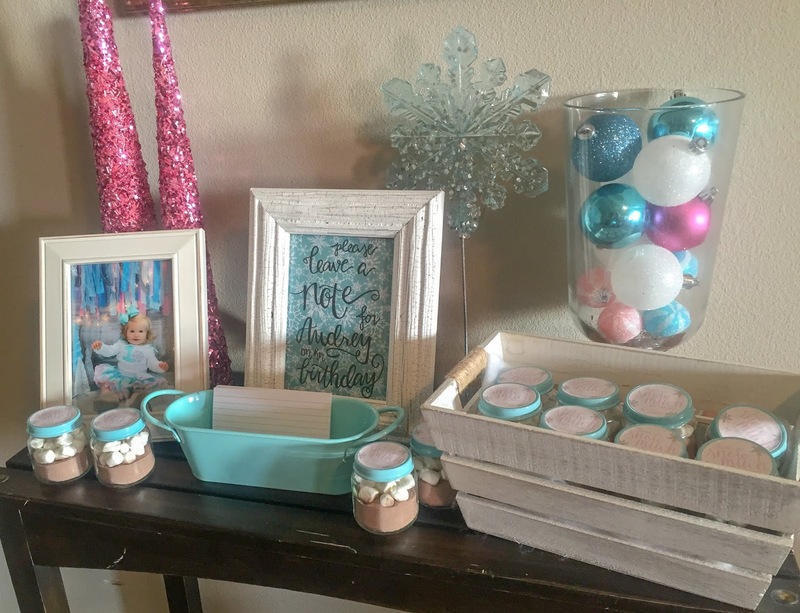 The favors were hot chocolate and mini marshmallows in baby food jars I had saved over the few months. 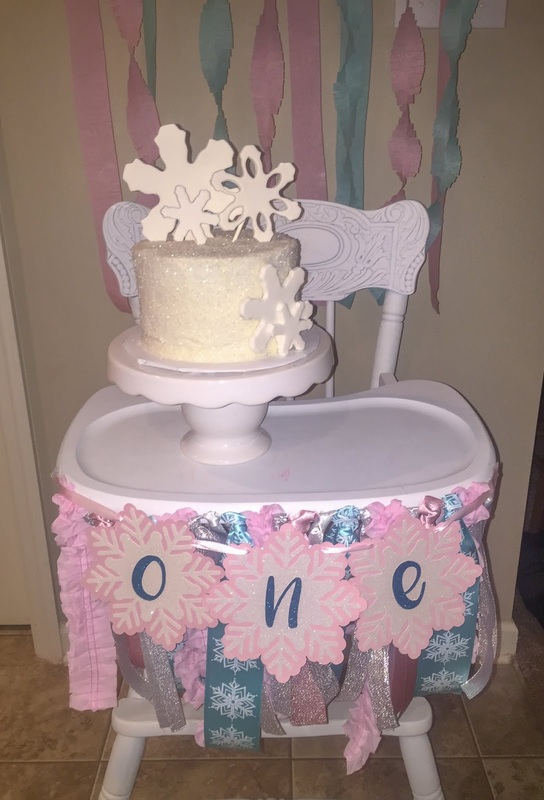 The tops were spray painted blue with favor tags that said “Thank you snow much for coming.” I ordered the favor tags from Confetti Fete on Etsy and they were adorable. I printed them at home on full page label paper and used a 1.75 inch hole puncher to cut out the circles. 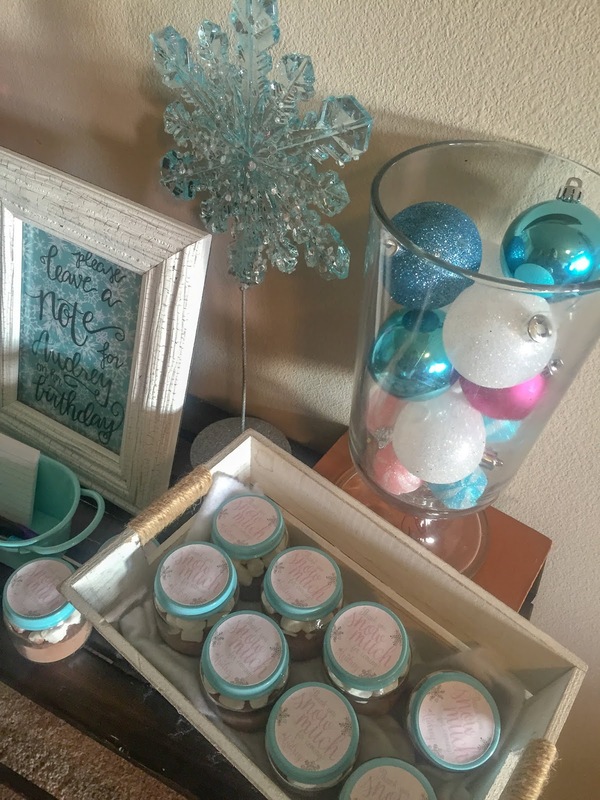 This was the perfect size for the tops of these jars. 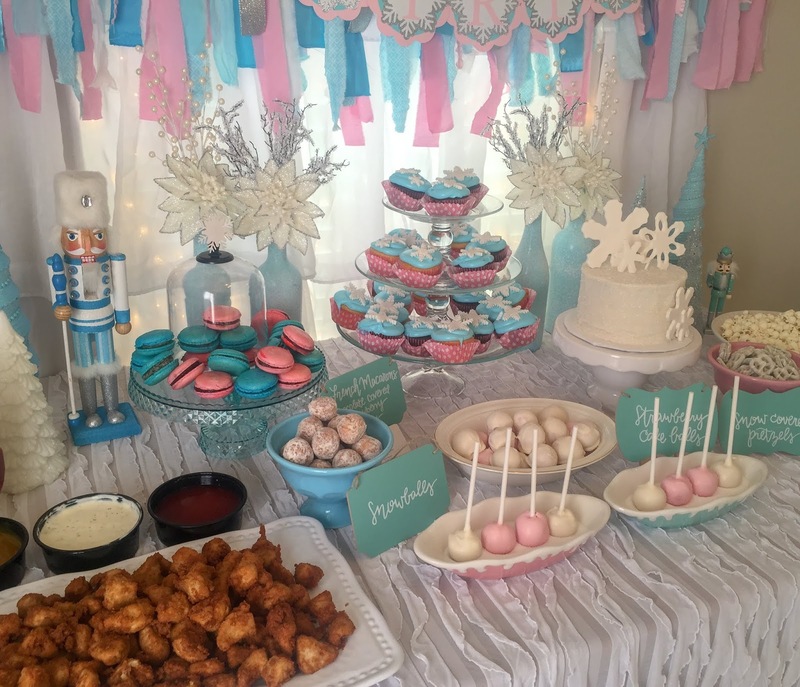 My favorite part of any party is the food table. 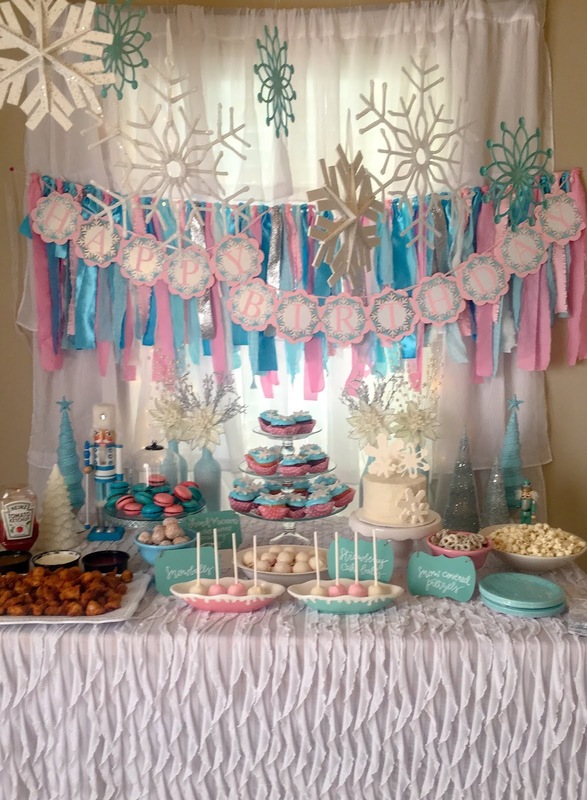 This is what I typically put most of my time into because it is the focal point of the party and it’s so much fun to customize it to the theme of the party. It’s hard to see in this picture but I strung lights behind the curtains behind the table. They looked so pretty when it was darker but you ended up not really being able to see them when it was light out. I loved these big over-sized snowflakes hanging from the ceiling. 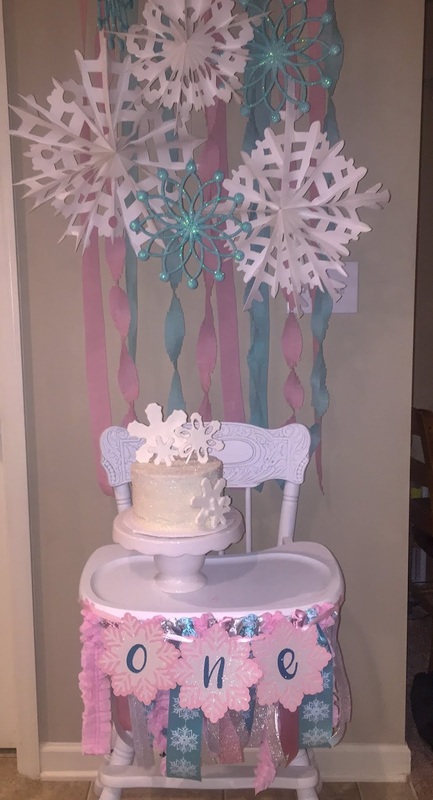 The table cloth is 2 yards of ruffle fabric that I found at Hobby Lobby. So perfect! I attempted to make strawberry cake pops but failed miserably. These eight standing up were the only ones that I thought looked presentable. Oh well, everything can’t be perfect. They tasted good, that’s all that matters! 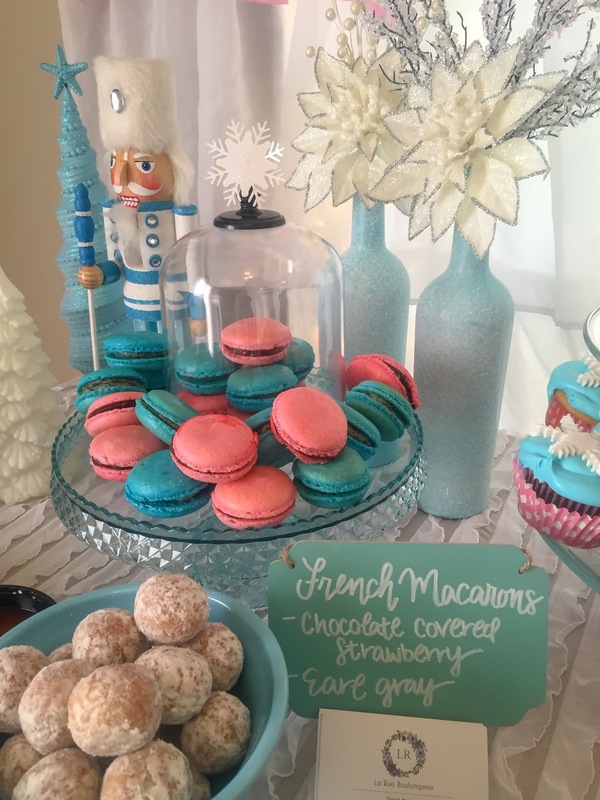 French macarons = amazing! I am so glad that I have found someone in the Huntsville area who makes them! Katie from La Rue French Macarons does an amazing job with these beautiful and delicious little cookies. Smash cake by Heather from Otter’s Cakery. The cake was beautiful and exactly what I was looking for! The blue bottles in the back with the white flowers in them are wine bottles that I spray painted blue, then sprayed with snow from a can. They were a bit of work, but they ended up looking pretty! 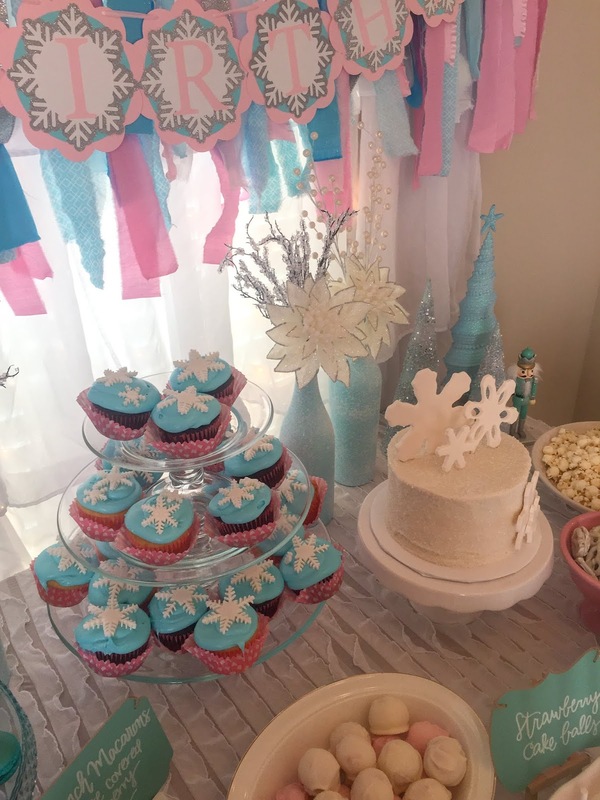 My sister helped me make the cupcakes and press out fondant snowflakes, which we covered in luster dust to give it a little shine. I thought they turned out pretty cute! 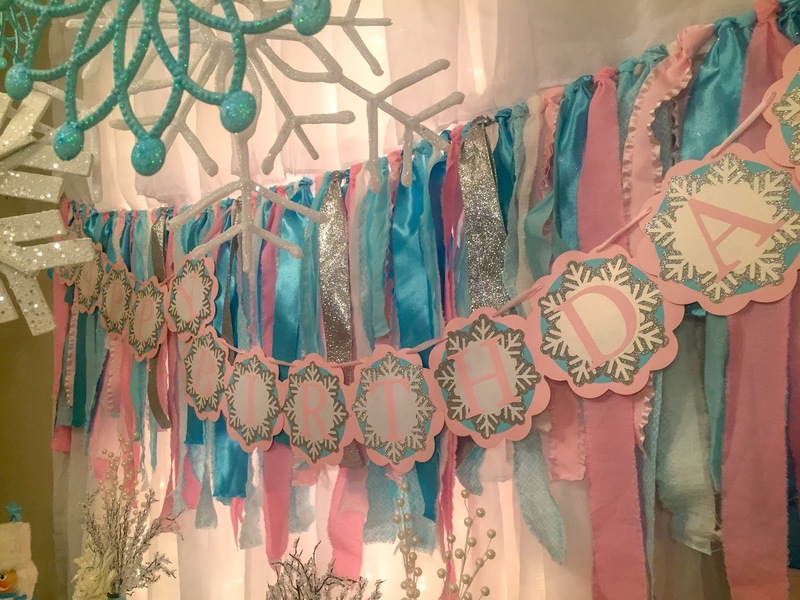 This Happy Birthday banner took FOREVER to make but it ended up exactly as I wanted it to. I cut each of the layers out with my Silhouette Cameo machine and glued them together. My mom made a big pot of chili, which was a huge hit! 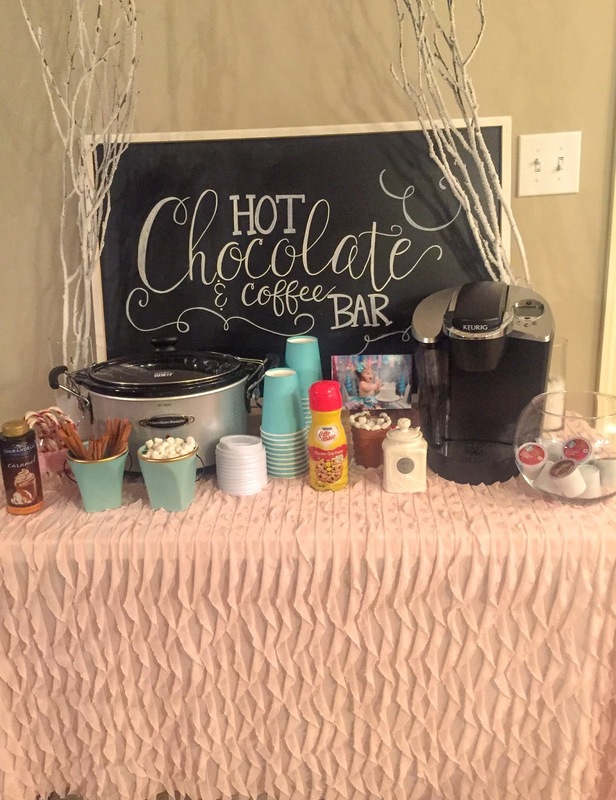 To the side we also had a hot chocolate and coffee bar. Because what’s better on a cold winter’s day than a delicious hot drink in your hand? 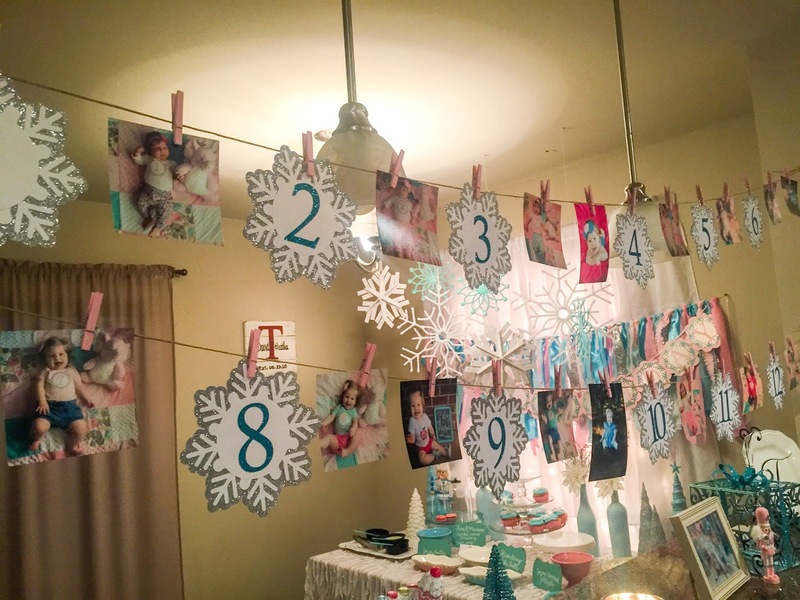 I put her 12 month pictures in frames all over the house. 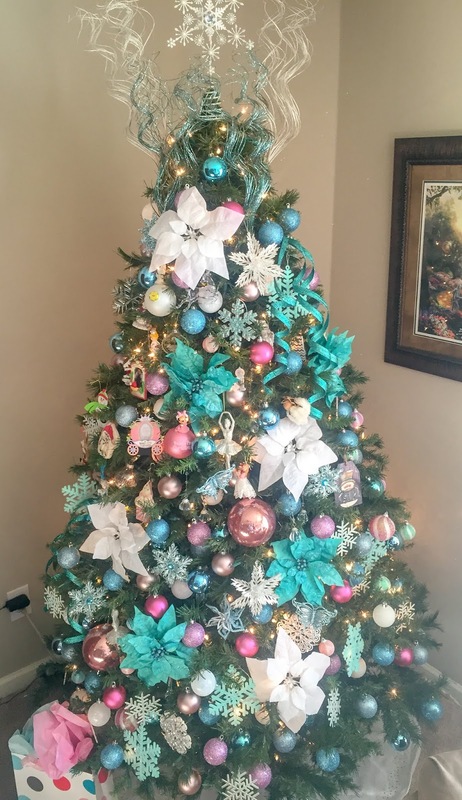 Having an excuse not to have to take my tree down was the best! It was difficult to get a good picture of this banner because of the lighting, but this is another one I cut with my Silhouette. 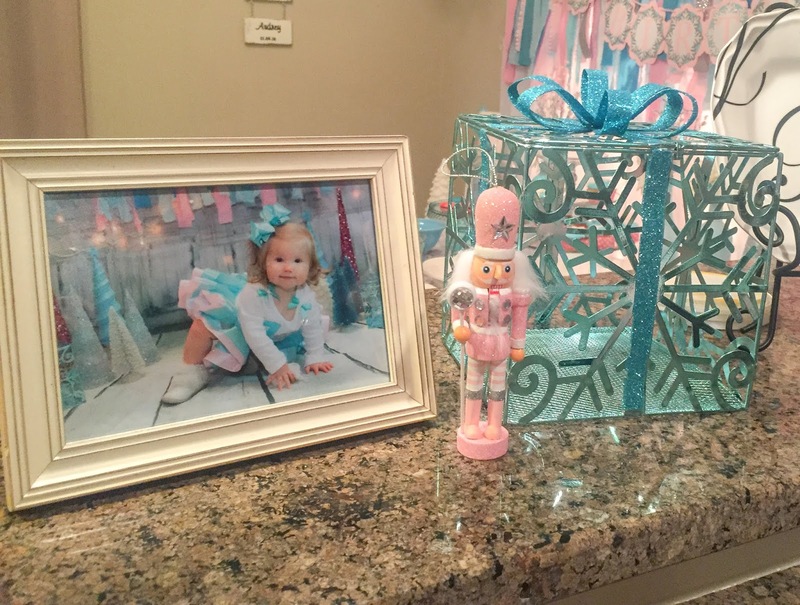 Pictures from each month – its fun (and a little sad) to see how much she’s grown. It feels like time went by as quickly as it did just to look through these pictures. Audrey loved her cake. She sat there with a shy little grin on her face as we all sang happy birthday to her and then went in face first into the cake. I don’t think she wanted to stick her hands in it! Even though we were sad our out of town family couldn’t make it because of weather, we are still very thankful for those who were able to celebrate with us! 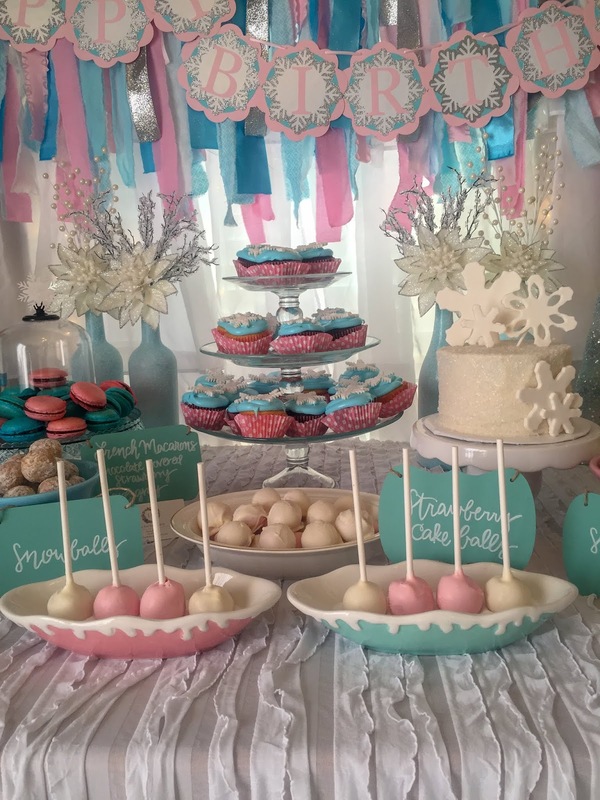 To see more, visit my Party Planning page! Gorgeous place, I just went here with someone. The place itself was beautiful and spacious, the seats were comfortable and wide. From where I was sitting at event space Chicago, the views were great. I think the music really did a great job of filling up the space.